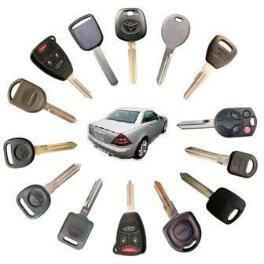 Losing the keys to your car can be a disaster that unfolds in several stages. With your key gone, you can’t get to work, you can’t drive to the store, and you can’t even get stuff out of your trunk if you want to. We understand the helpless feeling that comes with being locked out of your own car. That’s why we offer key duplication services to our neighbors in Warwick and the surrounding communities. Don’t wait until you’ve locked your keys in the car with the motor running to call for help; come into our Warwick lock shop location and ask us about car key duplication today. We are a licensed, bonded and insured car key programmer, so we can work with the latest high-security keys for the latest high-performance cars. As bad as it is to lose your keys, or lock them IN your car, getting locked out of your house is worse. We also offer house key duplication so you can have a spare to hide near the front door in the event you get locked out. We have the expertise to make just about any kind of key for any kind of lock you may have installed in your doors. This includes antique skeleton keys for old mortise locks and laser cut keys for your cars too. We suggest you get a copy made for your kids to have and another key you leave with a trusted neighbor. We can even set you up with restricted high security keying system to improve your homes security. To provide an added layer of protection Jon’s Locks has it’s own restricted keyways for your home and business locks. Restircted keyway locks are controlled by a single locksmith who installs a special cylinder in your locks that will only accept the restricted keys. We can install just a single restricted keyway lock in your home, or we can set up an entire master key system for your business. When Jon’s Locks installs restricted keyway locks in your home or business YOU decide who is authorized to request duplicate keys and only those people can have extra keys made after showing an ID to the locksmith. Restricted keyways are an excellent security choice for all businesses because they prevent employees from making unautorized copies. Working with a professional locksmith has benefits for you, your family and your business, if what you need is commercial service. Jon’s Locks is fully certified, registered and insured to work in the State of Rhode Island. That means you can count on the quality of work you’re getting, and that everything we do for you is not only by the book, it’s covered by our professional liability policy in case anything goes wrong. Many businesses require that their contractors meet certain standards, and Jon’s Locks meets them all. When you drop by, or when we come to your in our fully-stocked locksmith truck, you have your choice from among the leading brands in the lock-and-key business. We service, repair and sell Schlage, Master, Kwikset, US Lock, BEST IC Core, Arrow and Detex products.